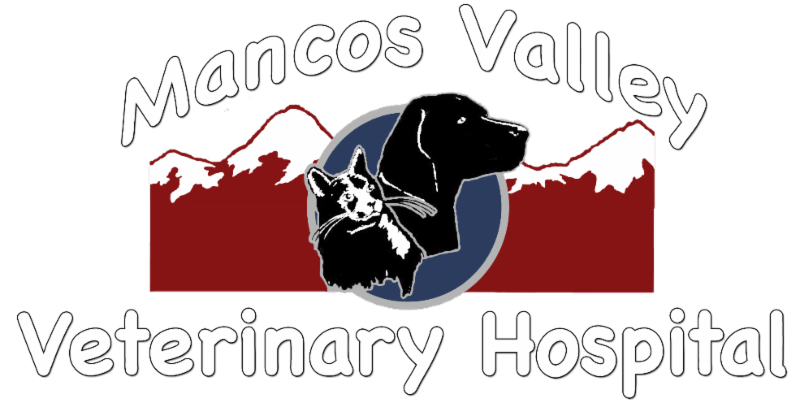 Mancos Valley Veterinary Hospital is a full-service veterinary hospital, servicing Mancos and the surrounding areas. Take time this holiday season to Relax, Refresh & Revive! 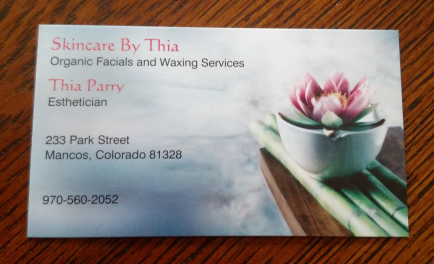 December Special - 10% off any organic facial product with purchase of facial service! Padilla Law now has offices in two Colorado counties. As a result, all meetings will require an appointment. 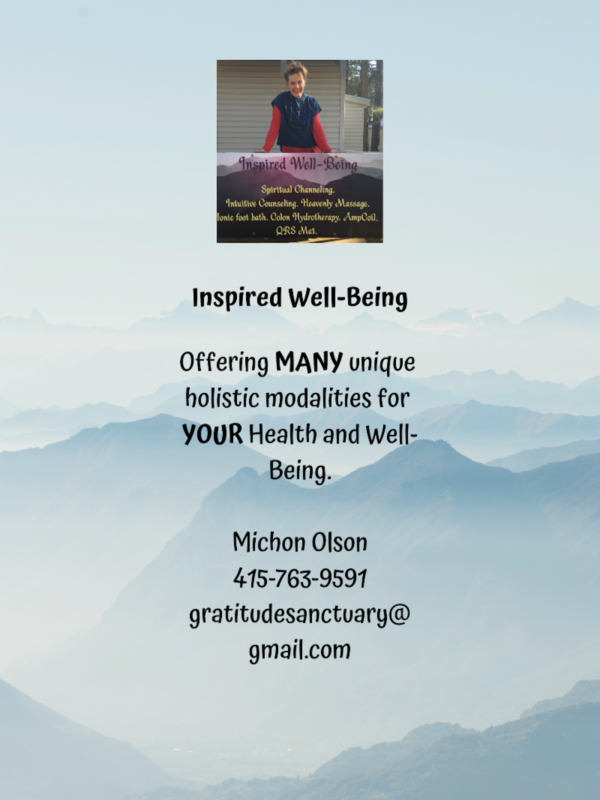 Please contact me directly to schedule a meeting. Starting Wednesday December 5 we are offering a complimentary wine tasting of our 3 Outlier Cellars wines! We are calling it "Wine Wednesday". From 2 to 5 pm stop in a taste all 3. 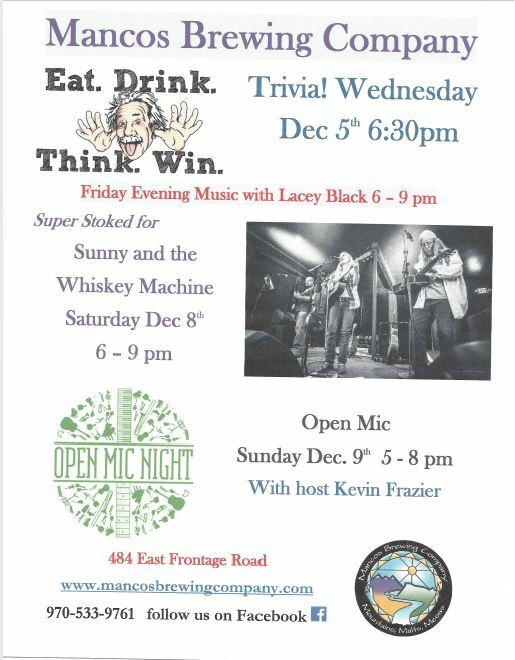 Also Third Thursday each month we have a cider tasting event at 5pm. 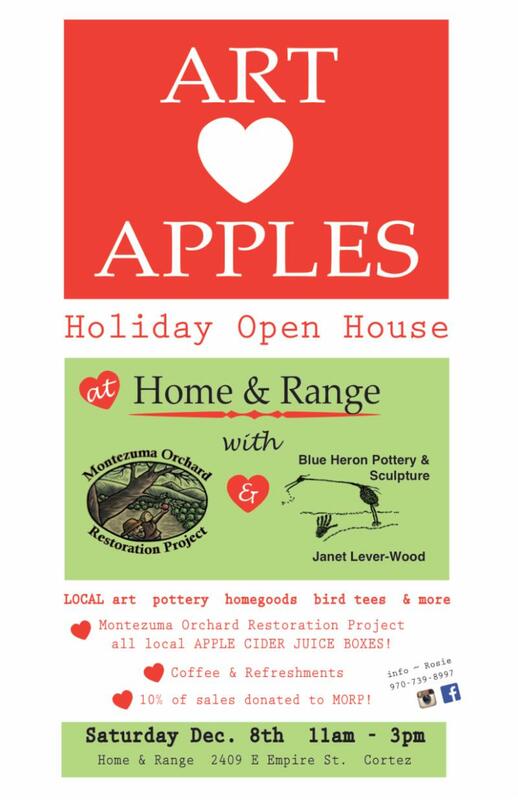 Taste many different ciders and discussion about all things cider!! 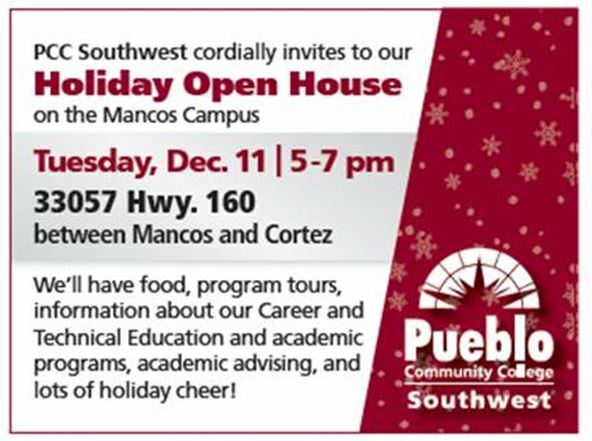 Join us at the Pueblo Community College Southwest Community Holiday Open House on Tuesday, Dec. 11 from 5 to 7 p.m . We will have food provided by our culinary students and holiday movies for the little ones and lots of holiday cheer! Learn about our Career and Technical Education and Academic programs. See our Emergency Medical students in action, see inside one of our Police Academy vehicles, learn what it takes to become a nursing student and tour our state-of-the art automotive simulation lab and our state-of-the art medical simulation lab. Advisers will be on hand to talk about enrolling in classes and can discuss with parents how high school students can take classes for free. 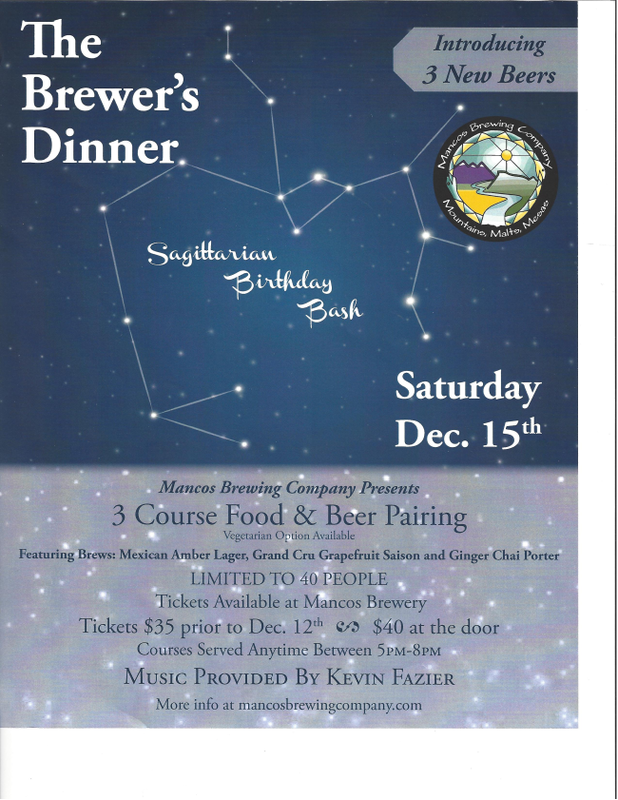 Call 970-564-6201 for more information. 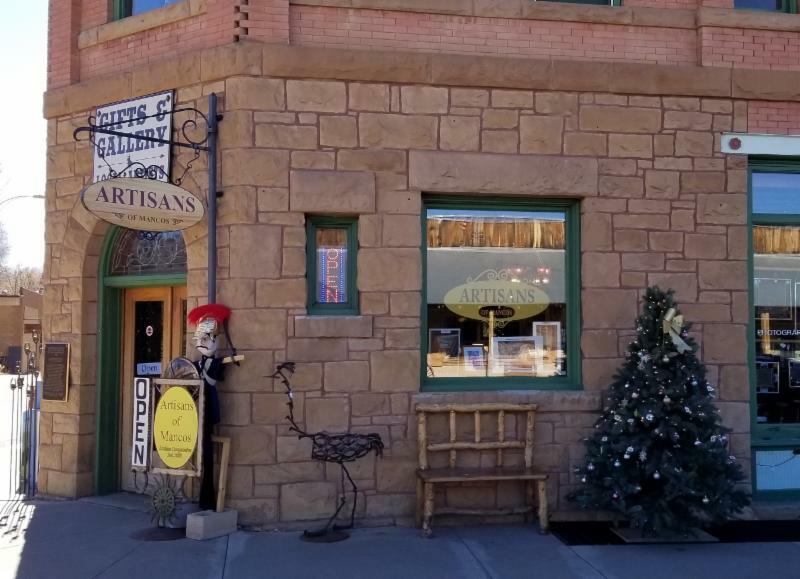 At the Artisans of Mancos gallery it is looking a lot like Christmas. 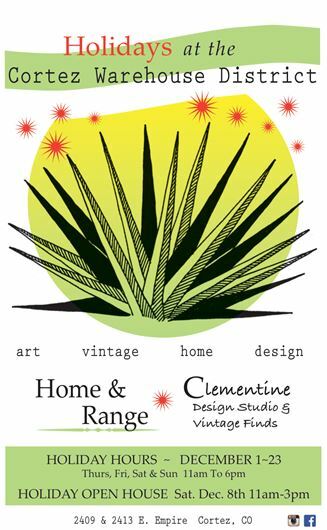 Along with other businesses and the Chamber of Commerce in Mancos, the gallery is planning to celebrate Christmas with activities, sales, and decorations. 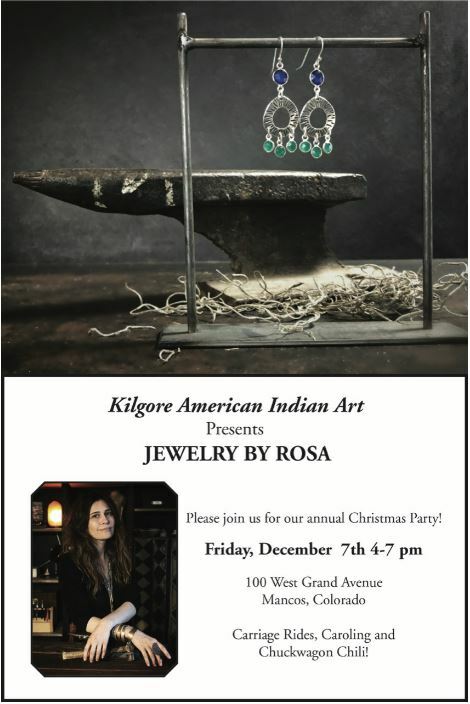 By the time the gallery participates in the December 7 th Art Walk from 4 to 7, the town will be alight with Christmas decorations and Christmas spirit. 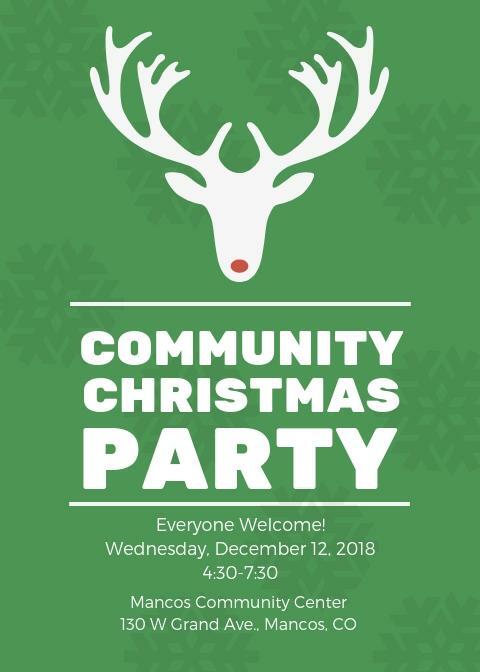 A Christmas party in downtown Mancos along with a Rudolph Run will take place from 4:15 to 5:30. 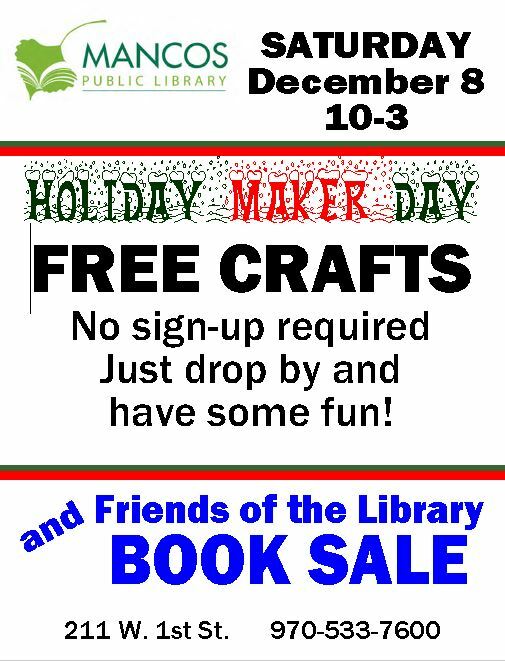 Other activities include the town tree lighting and a concert by the Mancos Valley Chorus given at the United Methodist Church. 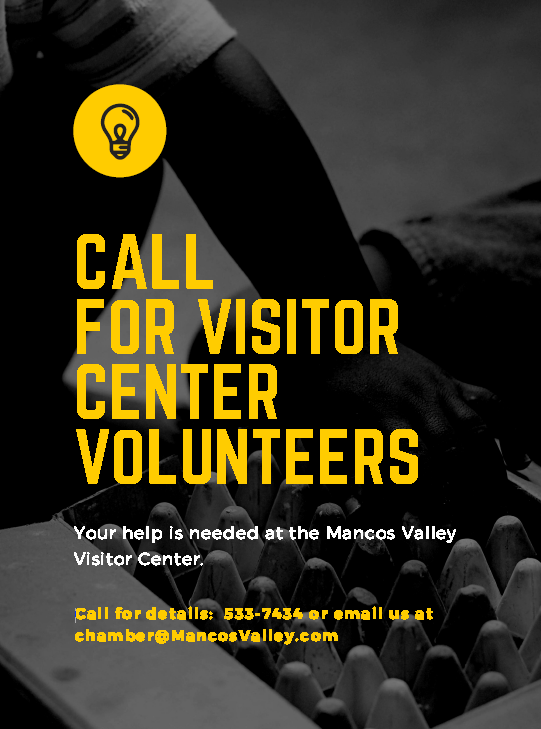 The gallery will also be one site in Mancos for a Giving Tree where the community is invited to select a tag to give a gift to someone in need. The gift can be returned to the gallery for pickup and delivery to the recipient. 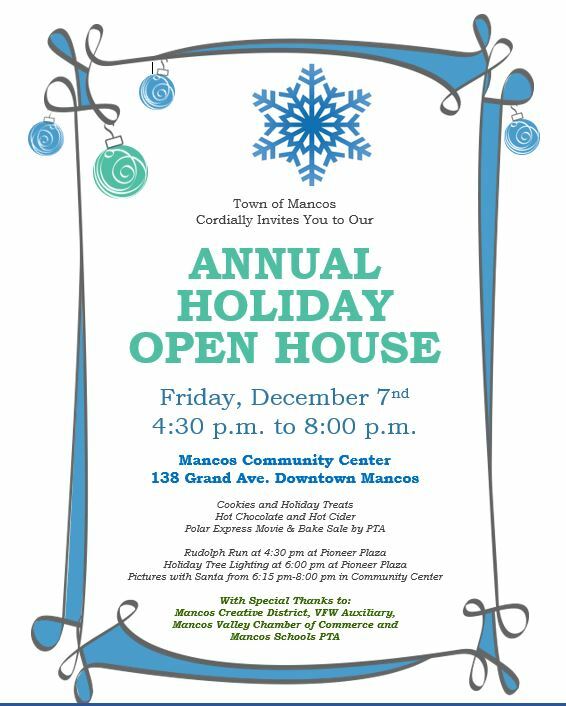 Mancos will be the place to visit during the holidays for gathering Christmas spirit and enjoying the season.